After-School Enrichment Classes are Now Taking Reservations! 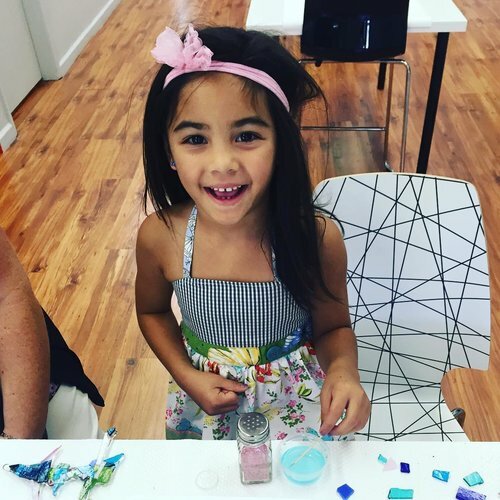 No previous experience is necessary for your child to enjoy these art classes. 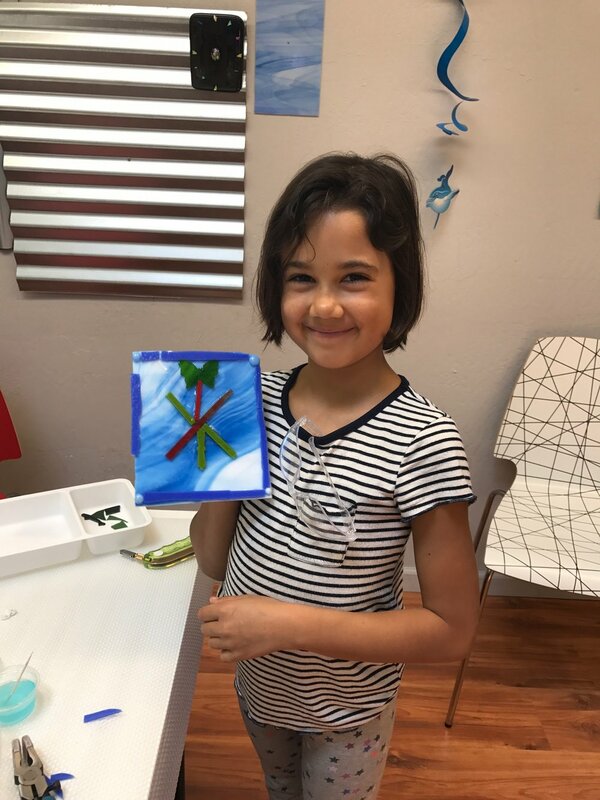 Students will learn all about how to safely create beautiful glass artwork while reinforcing valuable concentration and motor skills in a creative way, and building their self esteem in a comfortable and familiar environment. Best of all, be prepared to hear your child say with a smile, "I Made It!" Thank you to everyone who came to our 2nd Anniversary Party! We were so happy to see all your faces and to meet so many new friends. Remember, if you created a magnet at our party, be sure to visit us again to pick up your now beautifully fused artwork and to Stay & Play with us! Our Stay & Play offer gets you 20% off all projects made on your pick up day. That goes for any projects made at our studio too! Thank you again for your continued support of our art studio. It means so much to us that we can continue to bring our local community new and exciting artistic experiences. Your creativity fuels our passion and for that we are so grateful! We hope to see you all around the studio soon.